You might want to take a deep breath before risking a play on the new single of Armin van Buuren. Rushing over completely, ‘Drowning’ is the breathtaking fourth single taken from the ‘Mirage’ album. UK vocalist Laura V and Armin take you on a thrilling ride, perfectly translating the roller coasting feel of falling in love. After singles ‘Full Focus’, ‘Not Giving Up On Love’ featuring Sophie Ellis-Bextor and ‘This Light Between Us’ with Christian Burns, Armin van Buuren chose to go for an anthem that represents nothing but feel-good. 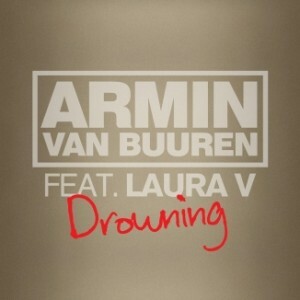 Sugar sweet, energetic and refreshingly housy, ‘Drowning’ reveals the diversity of Armin’s sound. Touching the edge of house and trance, ‘Drowning’ appeals to a wide audience, with remixers in demand. Swedish producer Avicii, one of the most popular producers of today’s dance scene, managed to drown the track with his significant melodic bliss, contagious throughout the full 8 minutes. Hungarian duo Myon & Shane 54, much wanted remixers in the trance genre, have the BPM up high, shaking the single to an energetic stir of progressive, trance and house.